Lovely site you have here! The banner is gorgeous!! Best of luck in your writing and I look forward to visiting as often as time allows. Loved, loved, LOVED this interview! Inspiring and fun. Thank you Deirdra and Stephanie! Those books sound so FUN! And I'll totally be seeing you at Storymakers!! lovely interview!! i want to be an author!!! Fab interview! Her books look fun! Super interview. Now I want to read the book. Thanks. First, thank you so much for the blog award! Love your blog! And what an interview! Thanks for introducing me to a new writer. I love this! Author interviews are almost as fun as reading their books. Coolio! Great interview and thankyou for my award. Made my day! Terrific interview! One thing I've noticed about writers, we will--we must--find he time to write. Excellent interview....I feel like I have actually met the author. Thank you so much for visiting thefeatherednest...I am not exactly techie so if you don't see your beautiful award on my blog please don't be offended...I just can't figure out how to get it there. Wow! Thank you so much for the award, I appreciate it very much. Your art, your writing and your blog are wonderful. I am enjoying reading your interviews. I'm curious on where you used to live in Oregon? Thanks again, I'll post the award and give you a shout out. Great interview. The books sound intriguing. Hi, Deirdra! Thank you very much for the blog award. It's beautiful! I really appreciate your stopping by my blog. Your blog is lovely and I'm a new follower! This is a terrific interview. I love how Stephanie got started writing as a kid, and how wonderful that she had such a supportive teacher. And it's too cute the reason her mom waits awhile before reading her books! 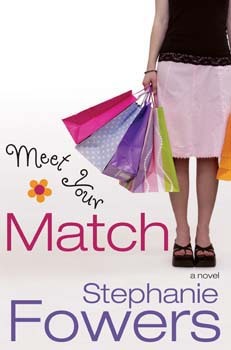 I'll definitely be adding Stephanie's books to my to-read list! Oh my goodness, thanks so much for the award and for visiting my blog. I am so touched by your kindness and recognition. I really am. I enjoyed the interview and have a feeling a whole new world is going to be opening up to me through your blog. I love delving into arenas I wouldn't normally venture. I can't wait to read more. Hi Deirdra, thank you so much for stopping by and for the Creative Blog Award, what a dear you are! I love that you're doing interviews for your A to Z Challenge, and this one is great. 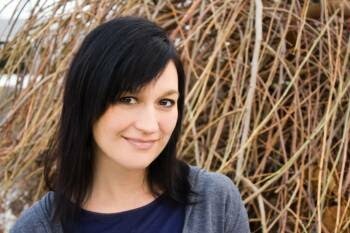 You have introduced me to another author and, from the way she and her books sound, an amazing one. I'm going to go check her out, too. Again, another fabulous interview. Thank you so much for doing this blog. I learn new things every time I come here. 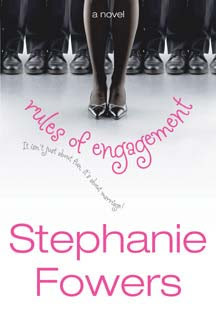 Your interview has inspired me to read Stephanie Fower's books. Thank you so much for the awesome award!! What a surprise! Your blog is beautiful, and the interview is quite interesting. Stephanie is a very talented girl. Thanks for the award. That was such a surprise! What a terrific, thorough interview. I love hearing from writers, learning about them and their process and their lives. I love how she said she felt like she was co-authoring a book with her younger self - my current work in progress is a novel I wrote when I was younger and I feel the exact same way. Stephanie Fowers is awesome! My favorite author! Prank Wars is going to be epic! Can't wait!